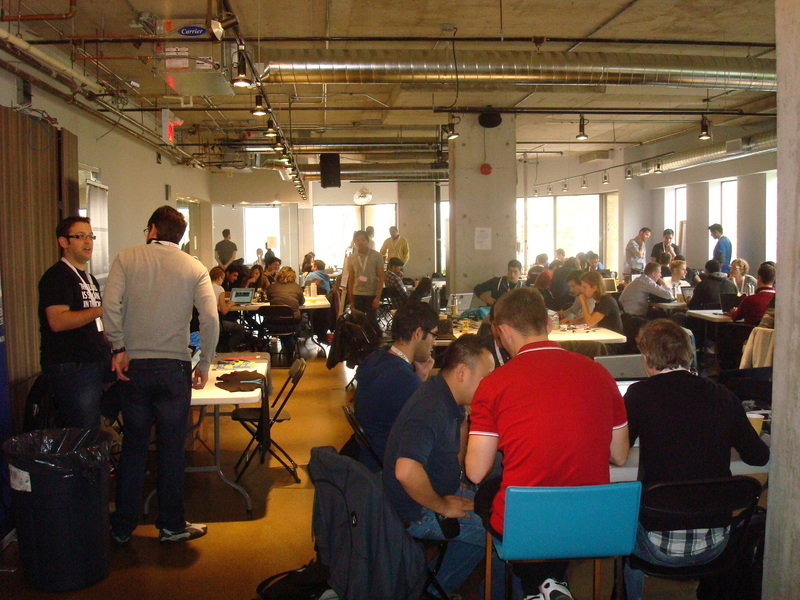 At this stage of the game at Startup Weekend Toronto it is about validating the idea, as the coders code and the designers do their thing. It is where the race starts to pick up speed and everyone goes all in. 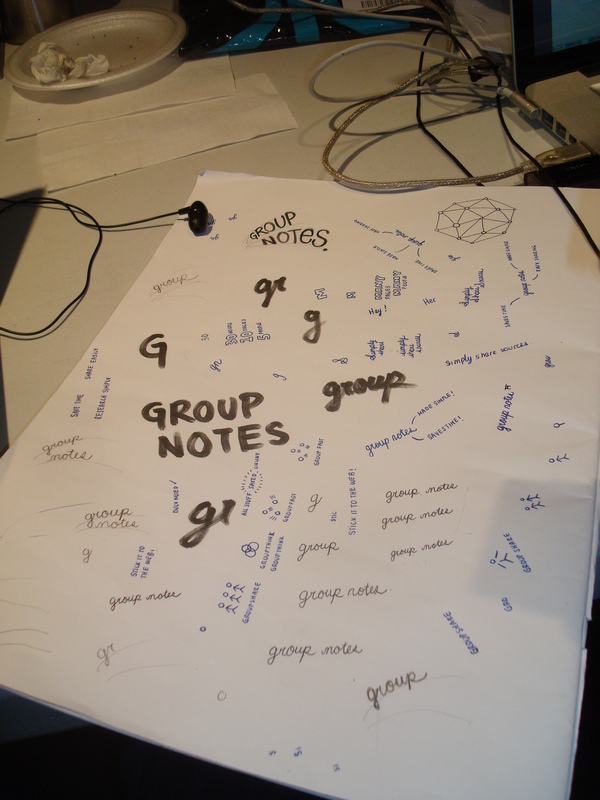 The group I joined called Groupnotes had 10 or so people. Matt Gardner who just one the Peel Startup Weekend the other week for another and pitched groupnotes was in the zone all day much of the day, talking to the parade of mentors being a sponge like all of us were with each other. We had one group bring in lighting for a video and by the evening you could see many hitting their mark as they made the mad dash to the pitch point which is now just hours away. Startup Weekend makes you feel like you are a screw loose, always reaching and falling, you have face problems, roadblocks all while trying to herd the cats is a job unto itself (Matt’s been great thus far, that’s for sure). Everyone has approaches problems differently and you get such conflicting advice from one mentor to the next is hard to figure out what you should do. There are more than a dozen groups all working to have their demos ready for the pitches, we started testing the extension late last night and into the morning. I will give it up to our awesome devs who have been coding non-stop since the flag dropped, they have been machines and that is why I will bow before their skill, and that of our designers. While the extension is crash prone we have proved that the syncing ability works and that is a win for us. Now we gotta prepare a demo for the pitch. Meanwhile the business folks on the team were figuring out the business model, doing the lean canvas, SWOT, competitive analysis and as the day wore on and light turned to darkness it was time to figure out what would be said for the pitch. One of the issues we have is one how to monitize the idea and get past the chicken and the egg (damn am I hungry now). The hard part is that the feedback we received from students and educators shows us new perspectives from the administration’s perspective. This almost splits those who pay for the system (educators) from the primary users of the platform which is what our fearless leader Matt is trying to figure out as we speak. I have seen at least a few pivots go on by several of the groups and we are on the cusp of a similar pivot, not for the product but its positioning. This is limited by time since we are building all the pages we need as we speak and putting together our deck all to make some pivotal 5 minute magic. It is crunch time, crunch time, and more crunch time but you can tell just by looking none of us would have it any other way. 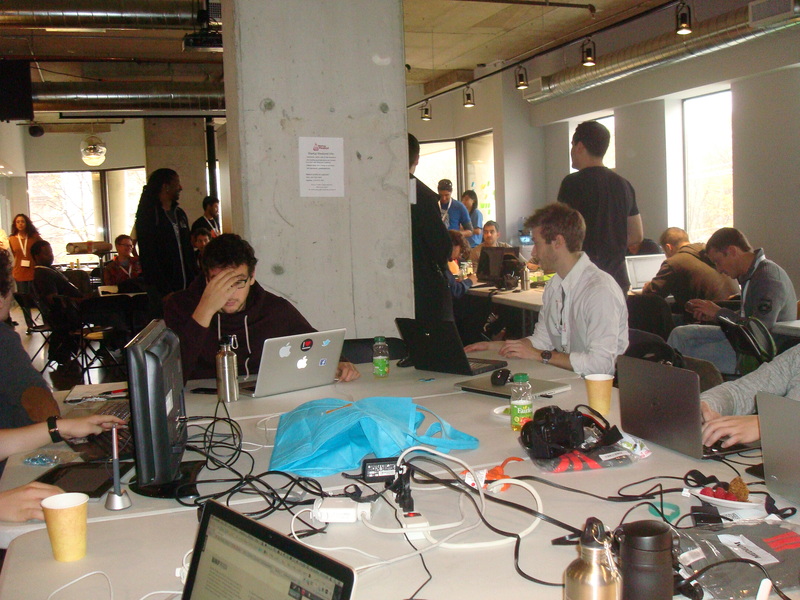 OK my randomish observations from Startup Weekend is over and time to get back in the game, wish us luck.